In 2010, the National Academies of Sciences, Engineering, and Medicine issued a Florida Department of Citrus-sponsored report — “Strategic Planning for the Florida Citrus Industry: Addressing Citrus Greening Disease.” The report recommended the formation of the Citrus Research and Development Foundation (CRDF) to manage funding for various citrus greening research projects and to act as a clearinghouse for information on scientific progress fighting the disease. From 2010-2017, CRDF awarded approximately $124 million to 398 projects, with 90% of those focused on citrus greening (HLB). Because the research funded had not produced any major breakthroughs, in 2016, the CRDF requested that the National Academies conduct an independent review of previous and currently funded projects. The review was to identify ways to reconfigure research to accelerate the development of tools and strategies to abate the damage caused by citrus greening. In April, the results of the review came in stating not to expect any silver-bullet breakthrough on HLB anytime soon. For an industry desperate for good news, we all would have hoped for a little more optimistic outlook. The report reiterated and confirmed many things that we already knew, mainly that this disease is an unprecedented challenge. Why no breakthroughs? The report says the complexity of the pathogen, vector, and host interactions make for a hard nut to crack. And, the inability to culture the HLB bacteria in the lab is a big stumbling block. On the brighter side, the report does acknowledge that the vast research effort has expanded the knowledge of every aspect of citrus greening. Just think where we would be if not for the research that has been done and grower ingenuity in tweaking plant nutrition and root health programs to keep trees as productive as possible in the face of the disease. As discouraging as this season has been with Hurricane Irma’s widespread devastation, it appeared that an improved crop was on trees before the storm barreled through the state. That has to be attributed to the intensive management being applied to groves. Had Irma not come, we might have been finishing this season thinking we may have moved the needle in the positive direction. I hear that some groves appear to be bouncing back pretty nicely after Irma and hopefully setting up well for next season. You have to believe that is in part due to the production practices deployed by growers to combat citrus greening. 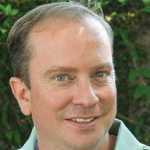 That brings me to this year’s Florida Grower Citrus Achievement Award winner U.S. Congressman Tom Rooney. He was elected in 2008 right as the citrus greening epidemic was picking up pace. 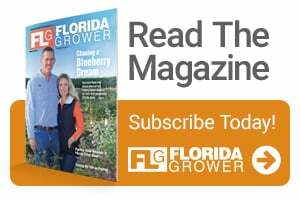 In my interview with him for Florida Grower’s June issue cover story, he told me one of the defining aspects of his tenure in office was dedicated toward helping Florida citrus growers fight and survive the HLB scourge. While that fight continues, Hurricane Irma put more than a few growers on the edge, which made the federal relief package Rooney and other lawmakers fought hard to secure all the more important. Rooney is the first to credit all the other lawmakers, industry representatives, and citrus growers who joined in to help communicate the dire need for the $340 million in funds dedicated specifically for the Florida citrus industry. In a time of partisan ranker, Rooney reached across the isle, built a coalition, and helped Florida citrus fight for another day. Congratulations on the award, Congressman Rooney. Well deserved!